Beloved Bhaktas of Lord Sai, Swami has told us time and again to chant and sing the Lord's name. fortify. And the greatest truth is His name will usher you into His omnipresence. You will experience the bliss of God's presence through the utterance of the divine name. "Devotee, "If we want to be with You always, what should we do? Swami, "Namasmarana, Namasmarana! It can be achieved only by chanting God's Name. Wherever Bhakthi dwells, God resides there". Devotee, "Please show householders, an easy Divine Path". 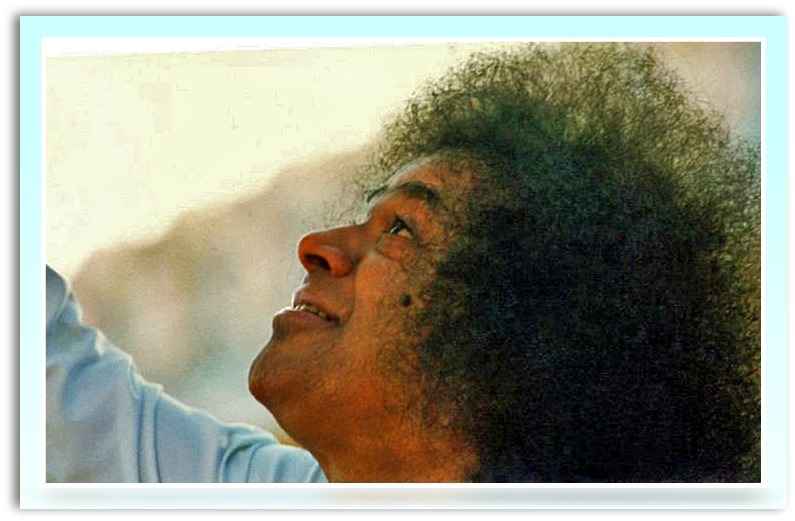 Swami, "Whatever you are doing now is enough. Namasmarana alone is enough. If you come again and stand before Me, I will say the same thing over and over again. If I scold you, accept it. It is also good for you". "Let the mind wander as it likes. Do Namasmarana. It is like placing the pot of water on fire for boiling. The fire of Namasmarana eliminates all the impurities in mind and it becomes pure. That is the SECRET". "The fire called Namasmarana will burn away your Karma. Butter does not melt until heated. Swami is as soft as butter. Ammayi, this butter (showing Himself) is melting under the heat of your Namasmarana. That is why you are getting opportunity to have Samipya, Sparshan and Sambashan". "Look, even Purandaradasa has said that remembering the Name of the Lord is enough. I tell you the same thing. Name of the Lord alone is enough"
May we all sing and chant the praises of God and live in bliss.